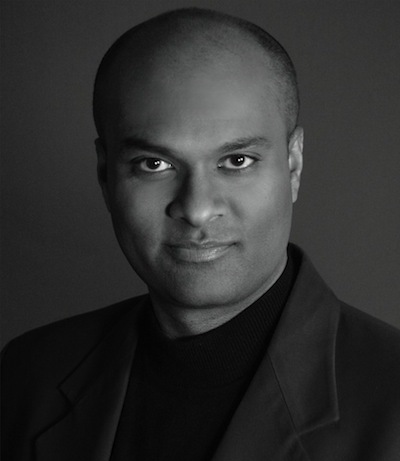 Born in Pune (India), Tenor Dillon Parmer immigrated to Toronto Canada where he was brought up in the rich musical traditions of the Anglican Church. Under the guidance of Charlie Peaker and John Tuttle at Saint Paul’s (Toronto), he received a thorough grounding in diction and musicianship and was introduced to a vast repertoire extending from Palestrina to Britten. This foundation undoubtedly accounts for his exceptional versatility in various musical styles and his careful command of language and declamation. He received his formal education at the University of Western Ontario (London, Ontario) and the Eastman School of Music (Rochester, New York). There he grew into a sensitive interpreter of early music and a keen interpreter of the avant garde willing to support contemporary composers in their efforts to bring new music to fruition. After moving back to Canada, Mr. Parmer expanded his repertoire to include the standard concert and operatic repertoire from the Baroque to the modern eras. He worked through this phase of his development under the direction of first Ingemar Korjus (University of Ottawa) and then Lorraine Nubar (Julliard School and the New England Conservatory) and Cynthia Sanner, as well as Dalton Baldwin (Westminster College, Princeton). Under their direction, Mr. Parmer grew into a versatile performer. In oratorio, his repertoire spans over forty major concert roles. Whether in Bach's Mass in B Minor or Britten’s Saint Nicolas, Handel’s Messiah or Haydn's Die Jahreszeiten, Mozart's Requiem or Mendelssohn's Elijah, Beethoven's Ninth Symphony or Rossini’s Stabat Mater, his style of declamation is especially engaging. His dramatic training was undertaken primarily in the Young Artist Program of Opera Lyra Ottawa. With Jeanette Aster directing, he understudied the roles of Goro and Faust in main stage productions of Puccini’s Madama Butterfly and Gounod’s Faust at the National Arts Centre (Ottawa, Canada). This stage work was consolidated in the same program under the direction of Janet Irwin in the roles of Tamino in Mozart’s Die Zauberflöte and Prince Olaf in Weisenseln’s Gisela in the Bathtub. Mr. Parmer continued to refine his dramatic and comedic skills across thirty operatic roles ranging from Mozart’s Così fan tutte, Don Giovanni, and Die Zauberflöte, through Donizetti’s Betly and Rita, Offenbach’s La Périchole and Barbe-bleue, to Poulenc's Dialogues des Carmélites and Moore’s Gallantry. Recent engagements include Bach’s Saint John Passion, Rossini’s Petite Messe Solennelle, Laërtes in Thomas’ Hamlet, Ottavio in Mozart’s Don Giovanni, and Malcolm in Verdi’s Macbeth. It was after this last role that Mr. Parmer came to the attention of Bill Schuman, noted teacher of many internationally successful singers. Under his direction, Mr. Parmer has reworked his voice and moved into fuller lyrico-spinto roles.